Bring comfort to your living areas both inside and out with a lounge chair, rocker or glider from Wicker Imports. Browse our selection of quality chairs in your choice of several finishes from leading manufacturers. All of our outdoor chairs have aluminum frames that will never rust, and UV resistant resin wicker to make clean up a breeze. Relax on the most comfortable cushions made for indoor/outdoor wicker. We have a nice selection of fabrics at Wicker Imports to compliment your decor. 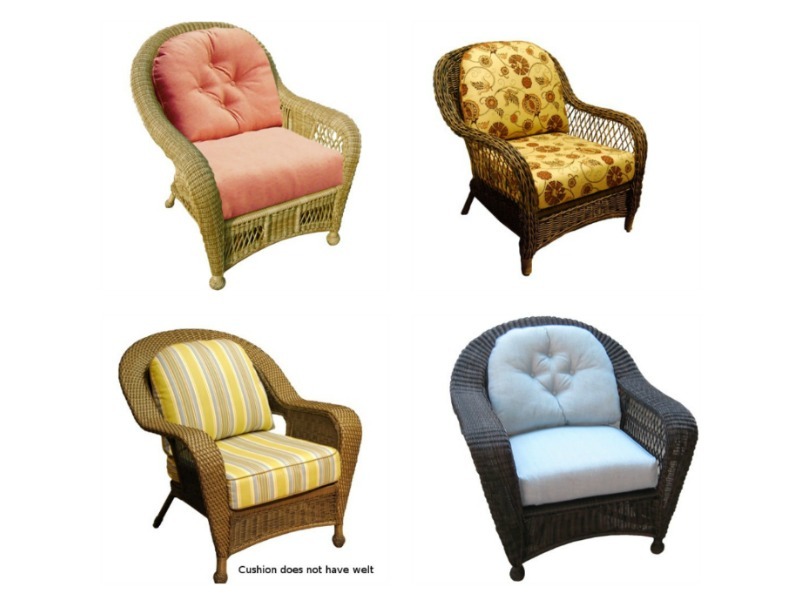 Our indoor chairs are made from premium quality rattan and wicker. They are available in several different stains and should be used indoors only. Our outdoor wood chairs are made from 100% recycled plastic. They are available in several great colors and carry a lifetime warranty. Bar Harbor Rocker with a back cushion.